A "gallimaufry" is "a confused jumble or a medley of things." So, in other words, my brain is a gallimaufry. I stumbled upon this word while trying to define the assortment of cards that came from the big box that Jonathan sent that didn't fall under "vintage" or "major night owl collection themes." It was a little bit of this and a whole bunch of that. All of it was interesting but not everything is stuff I collect. Several cards covered my set-collecting missions. items created more recently than in the '50s and '60s. 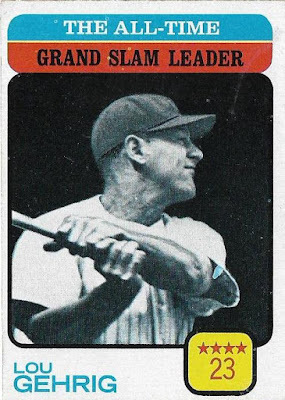 This 1973 Topps Lou Gehrig all-time leaders card for example. 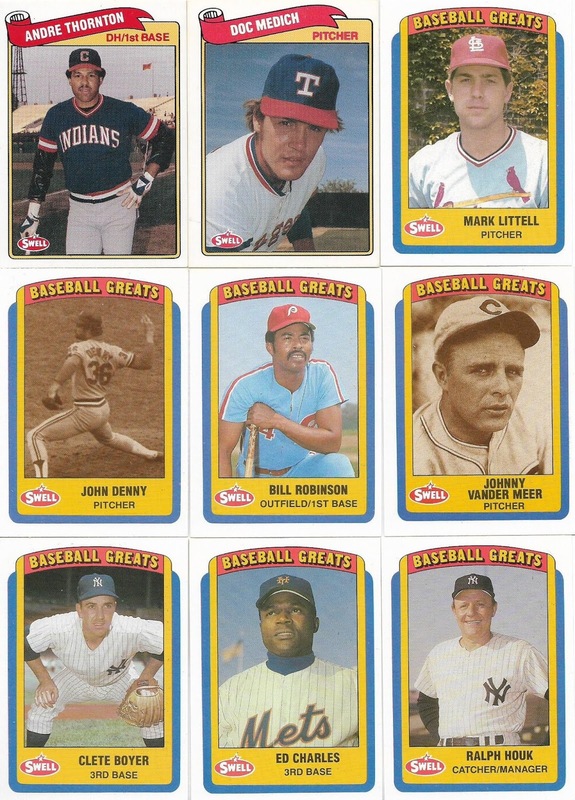 I'm still lacking most of the cards from the subset because people hold on to the legends in the '73 and '76 sets like the guys are still playing. 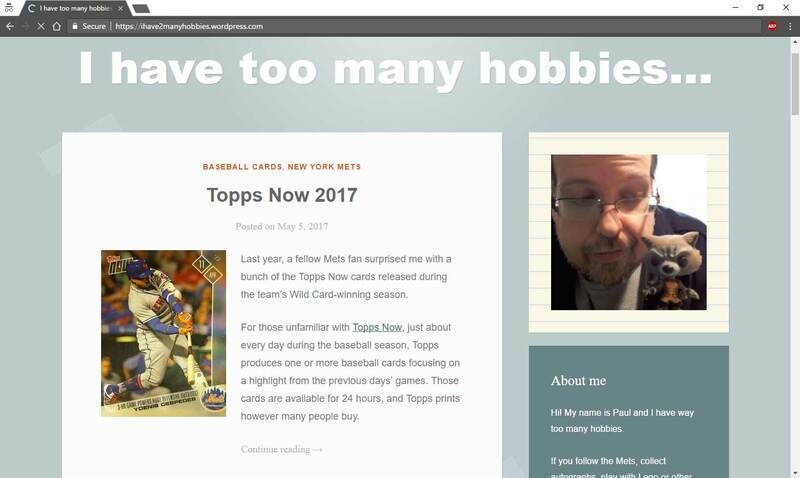 It's not a 1933 Goudey, dudes. Leggo! 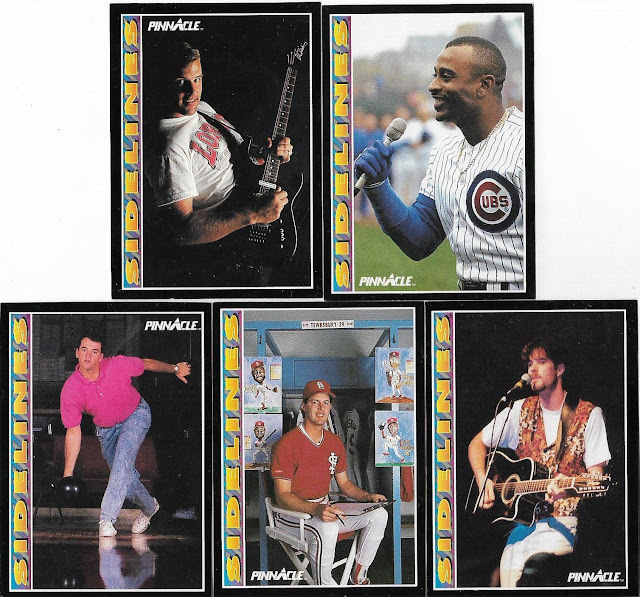 These are all needs from my 1980s Fleer collection quests. Lately (including today), I've received a bunch of cards for the 1982 Fleer set, which I'm very happy about. 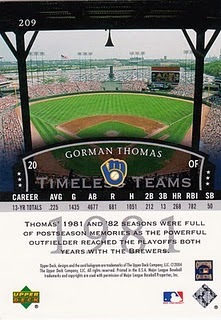 I will probably enjoy completing that set more than any of the other outstanding Fleer sets. 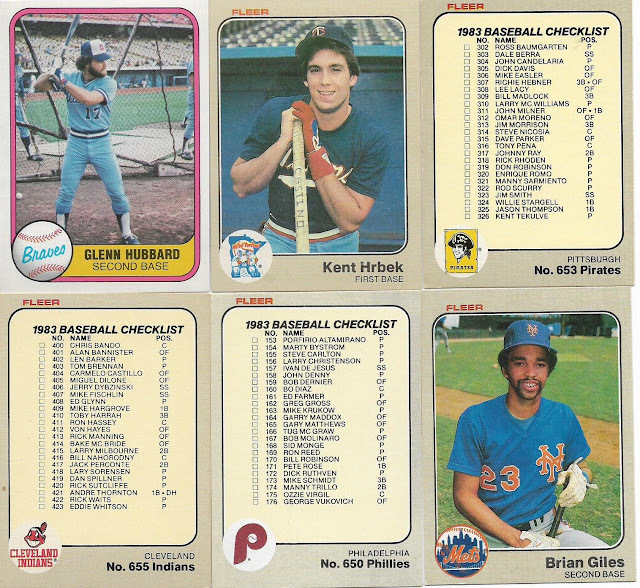 These may appear to be common 1976 Topps team checklists. But, oh no, they are not. 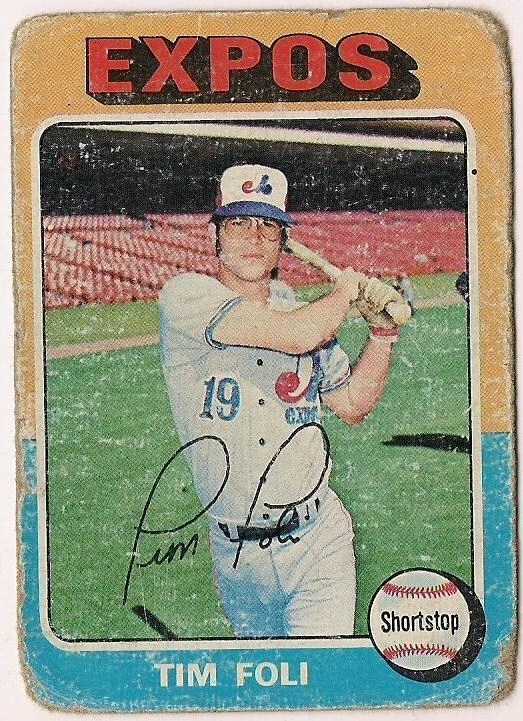 They are flimsier with lighter backs than what is in the '76 Topps set, and that can mean only one thing! 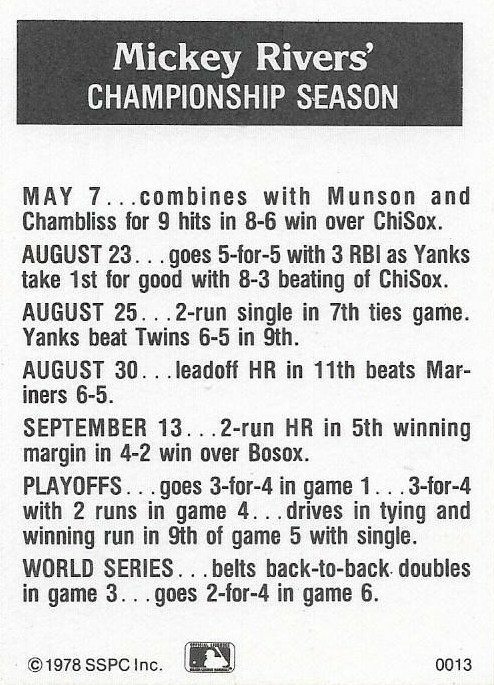 These were cut off a sheet of team checklists that you could receive in the mail if you just paid attention to the information in the gray box on the back of the cards! 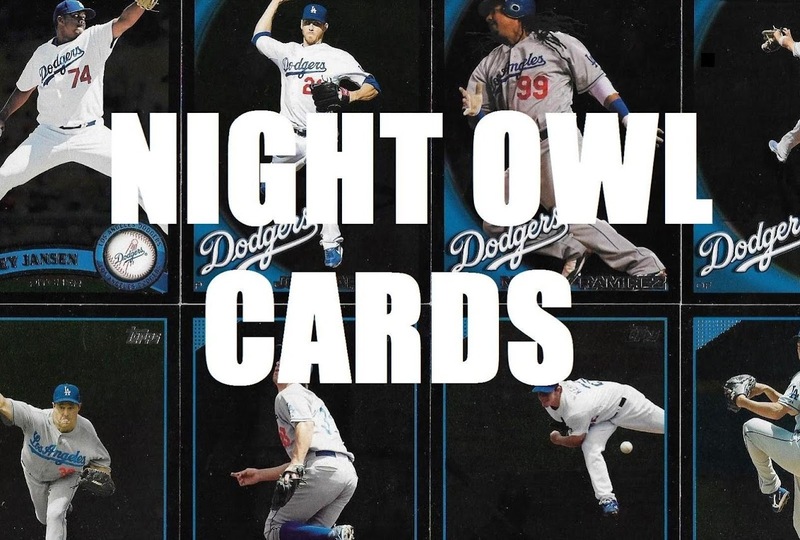 I suppose these cards should be considered variations. We didn't know what the heck a variation was back then. Thank goodness. These two cards are not as they seem either. 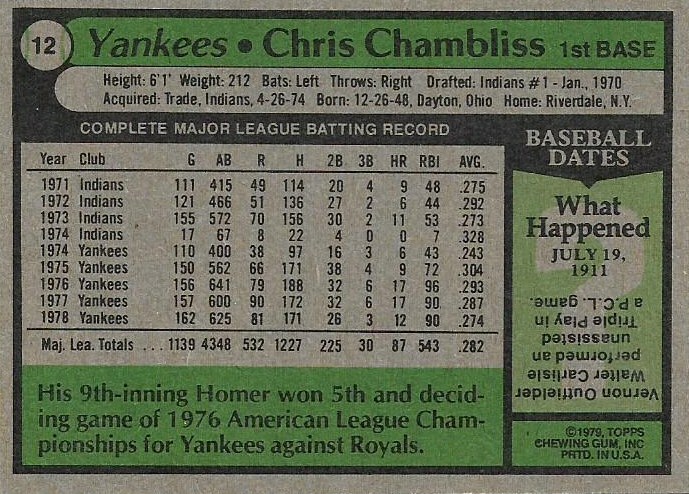 The Chambliss card is from the '79 Burger King set. 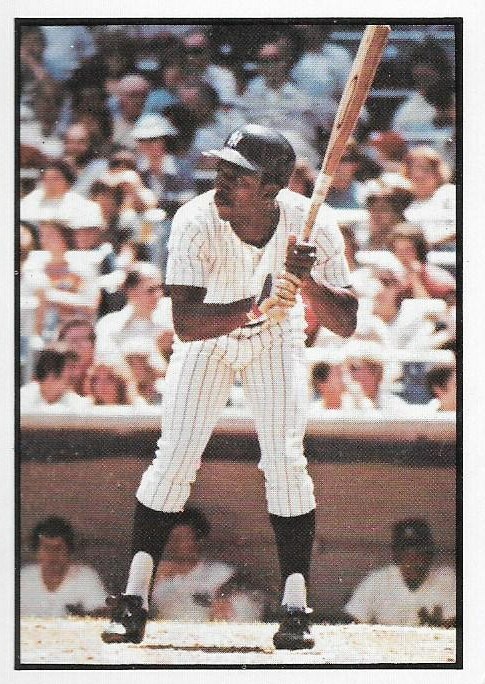 The Mickey Rivers card interests me just because the copy that I have -- which came out of the 1978 Yankees yearbook, features a blue box and blue print, not black-and-white. 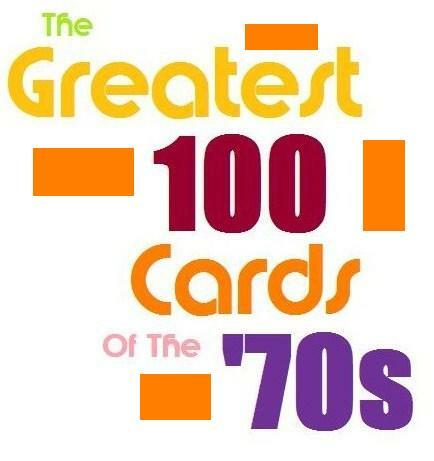 More '70s variations!!! Getting knee deep into oddballs now ... swell! The Swell sets don't get enough credit for paying homage to past players, whether they were stars or not. 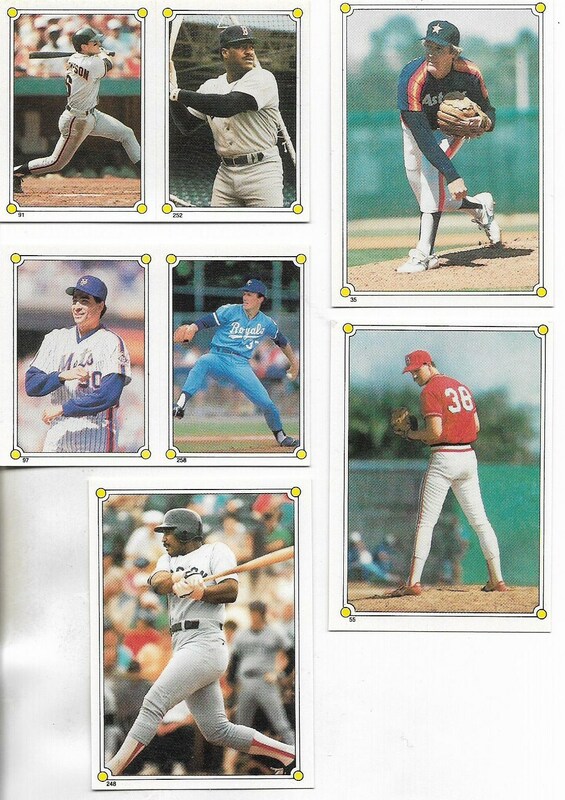 Where are you going to find a card of Mark Littell after he's retired? A few more. Vern Ruhle and Matt Keough. 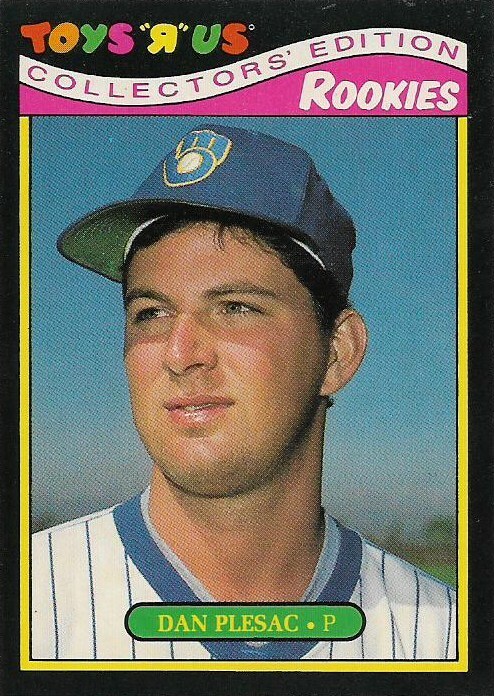 I bet that got the kid collectors fired up back in the late 1980s. 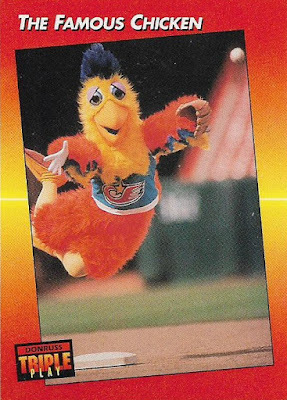 Moving on to '90s oddballs. 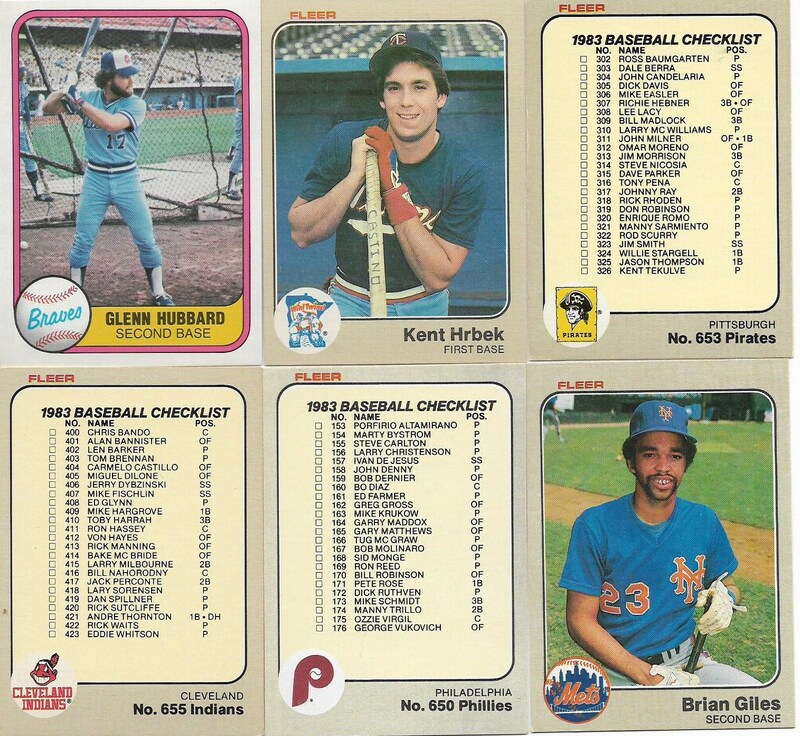 They don't do it for me like '70s and '80s oddballs, but that's still a fun layout. Now we are talking! TCMA! 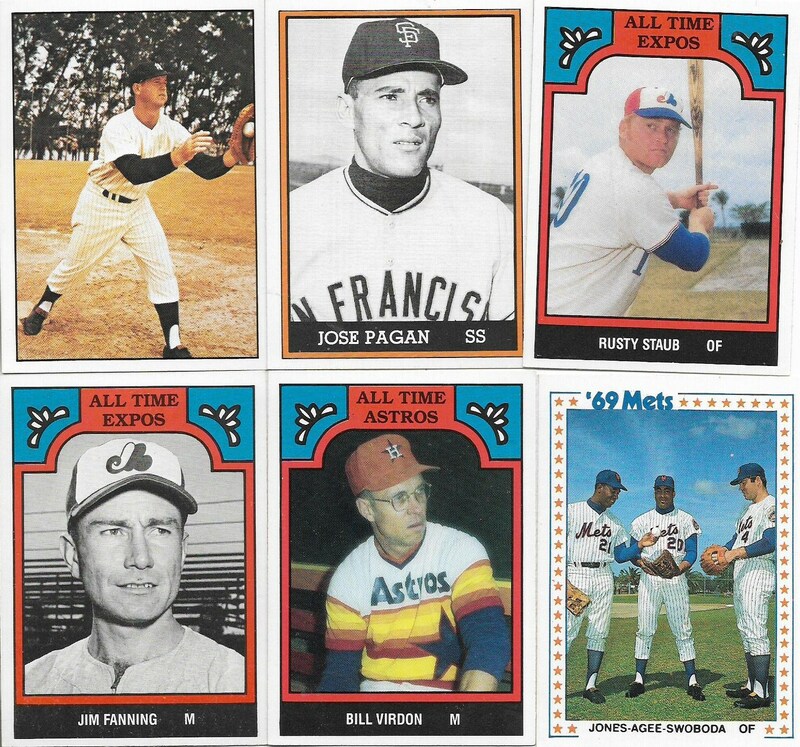 I've seen the Expos and Astros all-time team sets online but these are the first that I have owned. Same goes with the '69 Mets set. Meanwhile, up in the top corner is Marvelous Marv Throneberry. Jonathan also sent some of the quirkier cards of the early 1990s, such as these Pinnacle Sidelines cards. 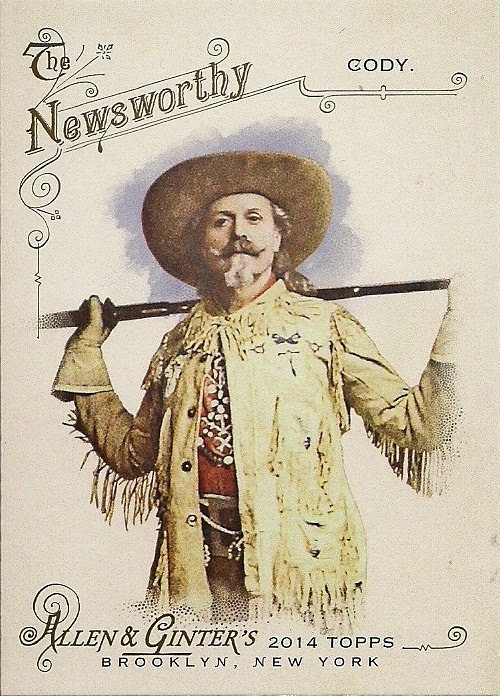 The Bob Tewksbury card beats the snot out of the other Sidelines cards if you ask me. The Chicken! Send me all of The Chicken cards! I'm also more of a '70s minor league cards collector than the sets from the late 1980s, but I just love the colored borders of the Star and Pro Set minor league sets from that time. Future Dodger Lenny Harris on a Hills card. 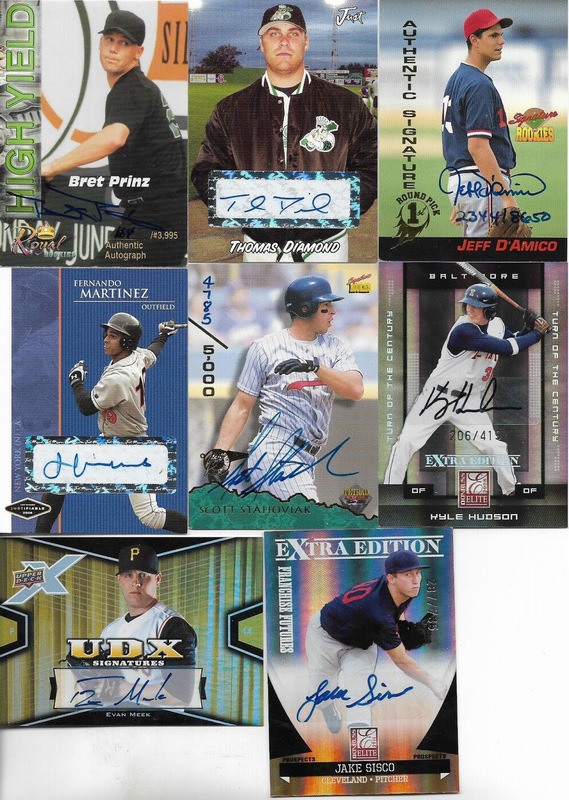 Jonathan also sent a small assortment of nonsports TV and movie cards. Here are two Texas-sized Texas traditions. 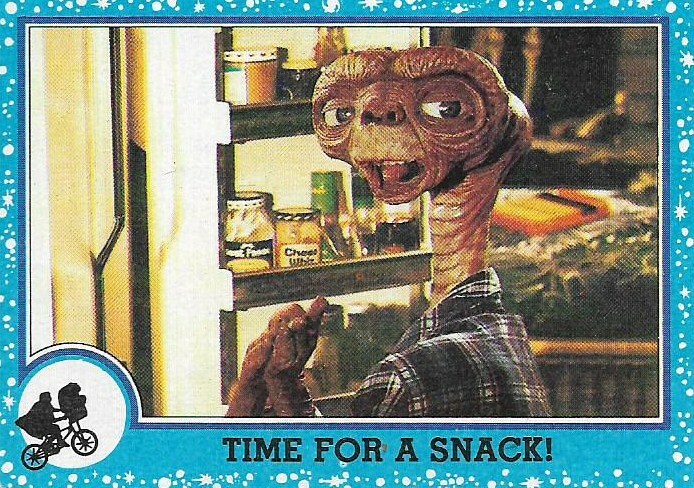 And a charming E.T. card. How about some relics? Yup, those were in the box, too. That Zach Wheeler card will come in handy, but someone better come for the Carlos Quentin card quick before I punt it off the front porch and into the street and let vehicles run over it all night. 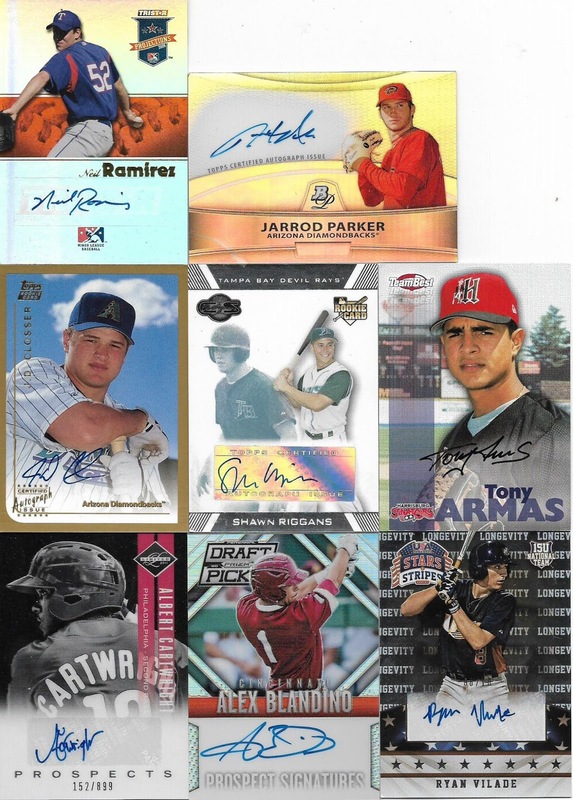 Here is a selection of autograph cards that came out of the box. 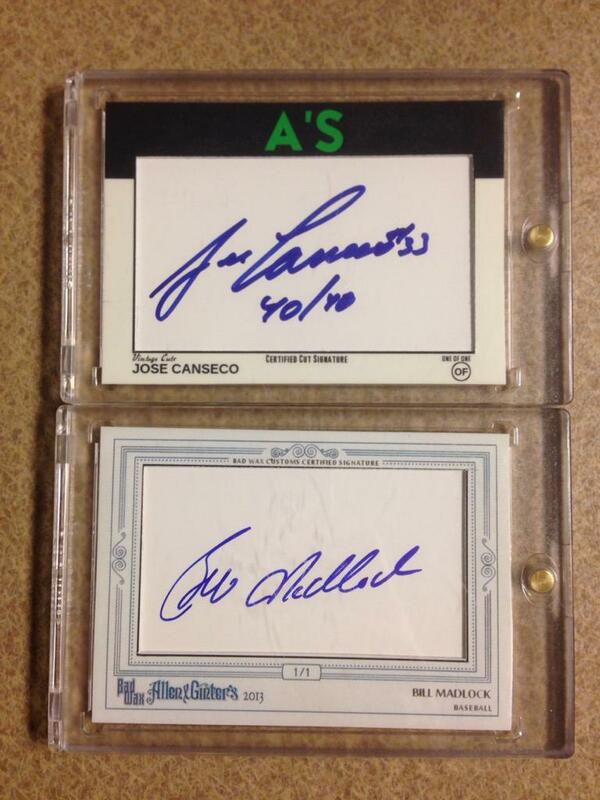 It really makes you think about how quickly the value of an autographed card disappears. Out of the group, I think only Neil Ramirez, Alex Blandino and Ryan Vilade are plugging along. Several more. 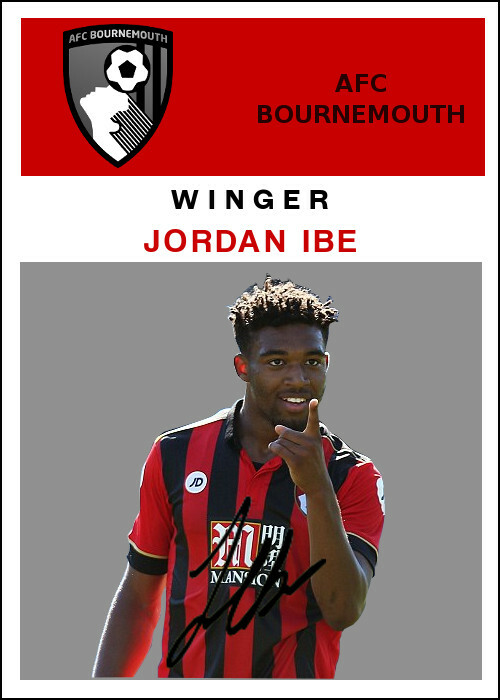 A number of autograph cards are pretty pathetic, using the excuse of a signature to wipe their hands clean of any design effort whatsoever. I'm looking at YOU, top row. Jonathan also sent some unopened packs. 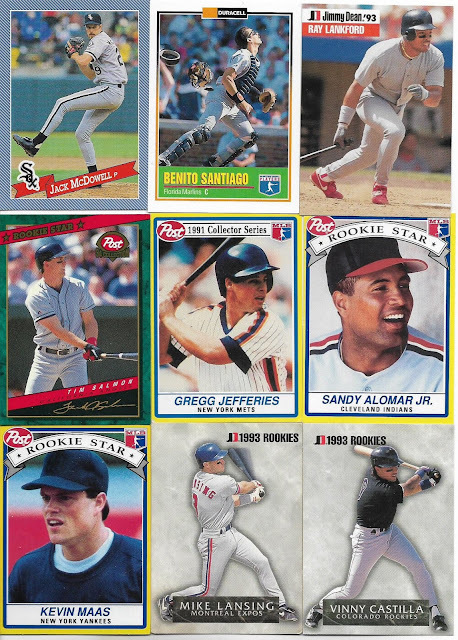 I already opened the 1995 Fleer pack on the blog and a rack pack of 1990 Fleer as well. But I think I've reached the point in my collecting life where I might be able to start building a stash of unopened packs for rain day purposes. With the way cash flow has been going for the last several months, it sounds like a solid idea. 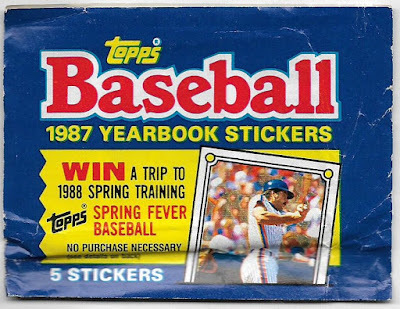 Let's open this pack of 1987 stickers, just to take the edge off. OK. Those are your five stickers. 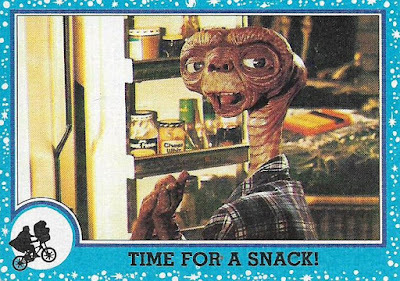 Stickers went downhill in the '80s. 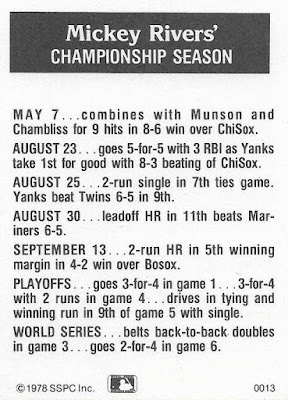 The first two years (1981 and 1982) were great. But two unrelated players sharing the same piece of card? That's weak if you're the non-sticking type. So, that, officially, is what's known as a gallimaufry of cards, all from the same big ol' box. And, yes, I am STILL. NOT. DONE. More on the big box later. Thanks for teaching me a new word. I'm going to try to use it at least twice before the end of the month in casual conversation. And thank you, too, for showing off these great cards & stickers. Goonies Lou Gehrig! 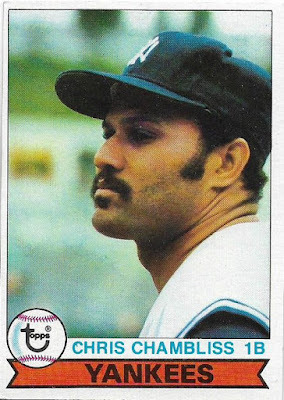 And why the hate for Quentin, did he do something bad when he was with the Padres? Quentin is an established N.O. nemesis. 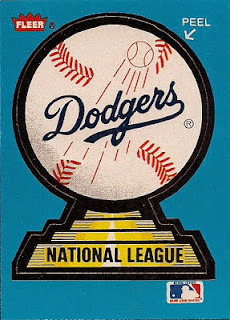 A few years back I ripped up a Quentin card for charging the mound and breaking Zack Greinke's collar bone. Ah. 2013. Was in the midst of having my second child and moving across the country and missed everything that happened that season. 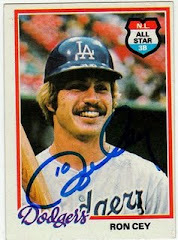 I've been coming up against the same sort of resistance finding the '76 All Time All Stars as you have. I might need to be a bit less fussy condition-wise. 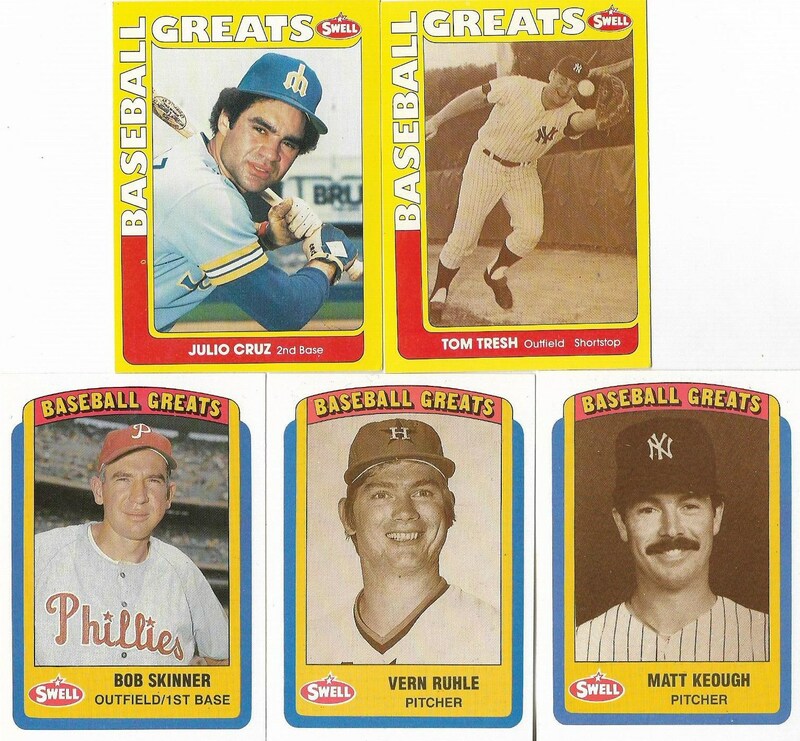 And I'm putting the Ed Charles and Staub cards on my wantlist. Better get that Quentin into JediJeff's trade stack before the impulse to destroy gets the better of you! As a Star Trek fan I'm amused by the Jake Sisco autograph, because there was a Jake Sisko on DS9. 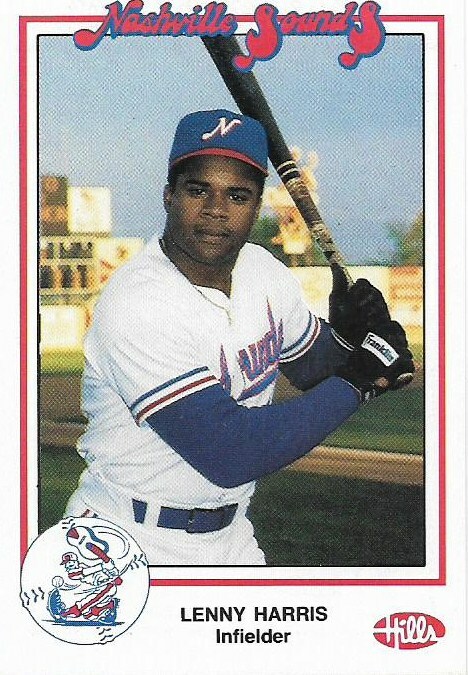 He even played baseball in one episode (his far he was a big fan). A. Agree 100% on your thoughts about Topps Stickers. As a kid, I focused on them for two (maybe three) years, then lost interest. Gotta admit, I don't mind seeing the newer ones in dime boxes or care packages, just because I never saw them way back in the day. B. 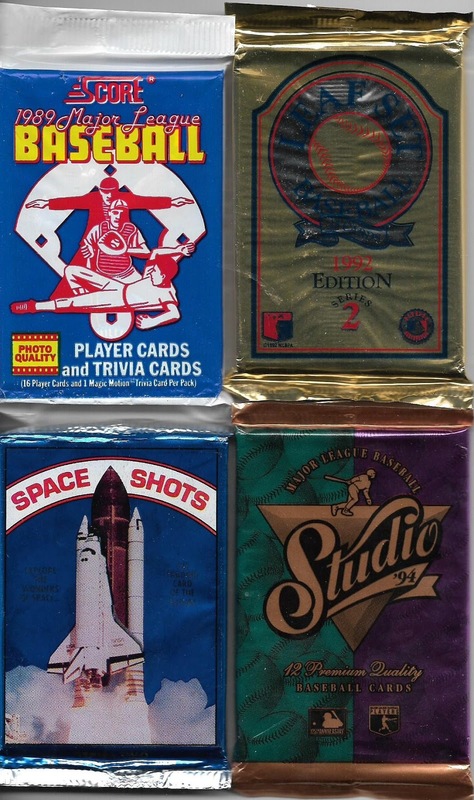 That Space Shots unopened pack is interesting. Always thought that they were only distributed as factory sets. C. I couldn't tell you what Gallimaufry meant, but I've definitely seen it used either in a blog post or in a comment. Sweet lip caterpillar on Rick Sweet. I plan on getting the Space Shots sets someday. Good stuff! Love the Rusty Staub card. I had never seen that set before until recently, found a cheap copy on COMC, and added it to my collection. 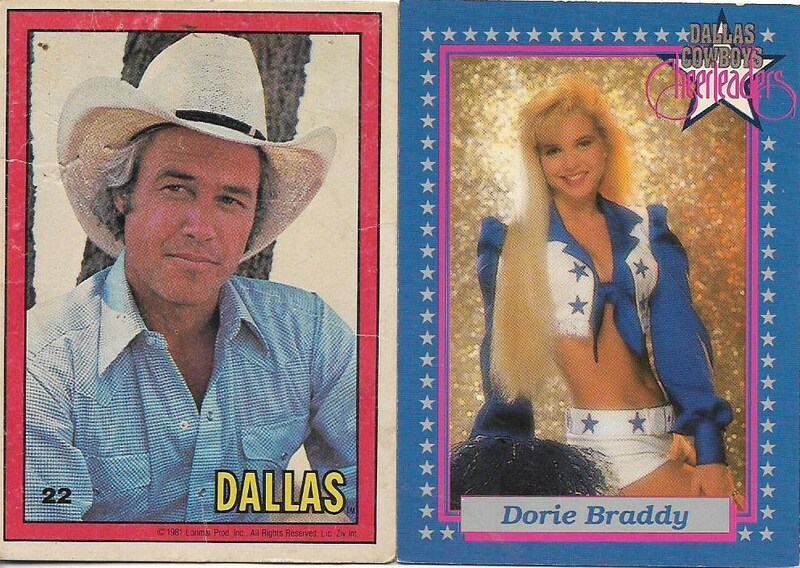 I did the stickers for a few years in the later half of the 1980s. 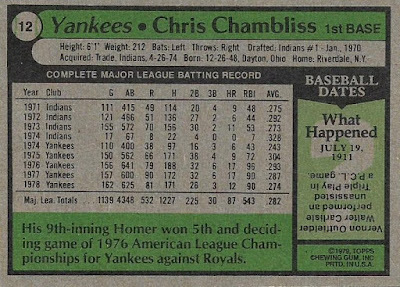 I know that those 87s were one of them, but there was another year where there was a mini set of cards as the sticker backs. 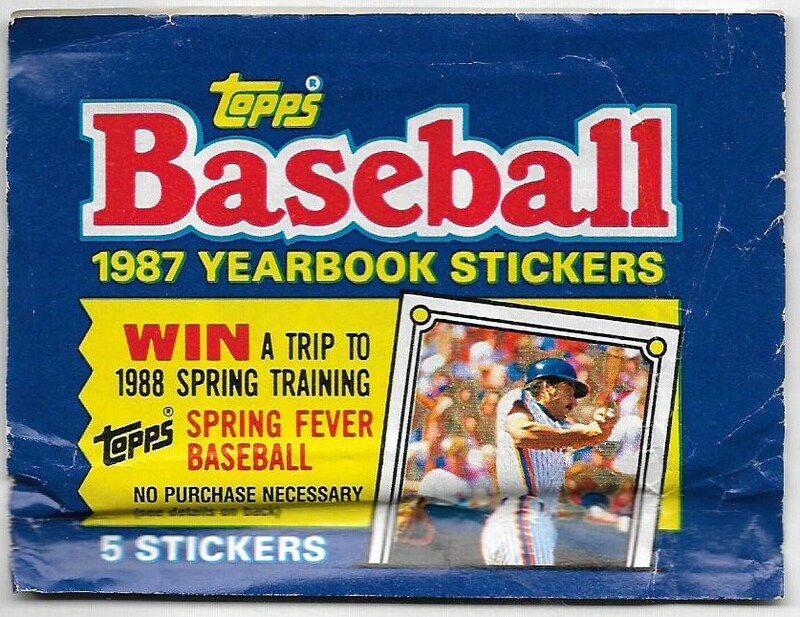 As a kid who collected in the 1980s, the stickers were always sort of a supplement. Not sure that any of my books are complete, not sure that it really mattered too much either. Wasn't there a player by the name of Gallimaufry some time ago? Or am I thinking of Italian squid? WOW! 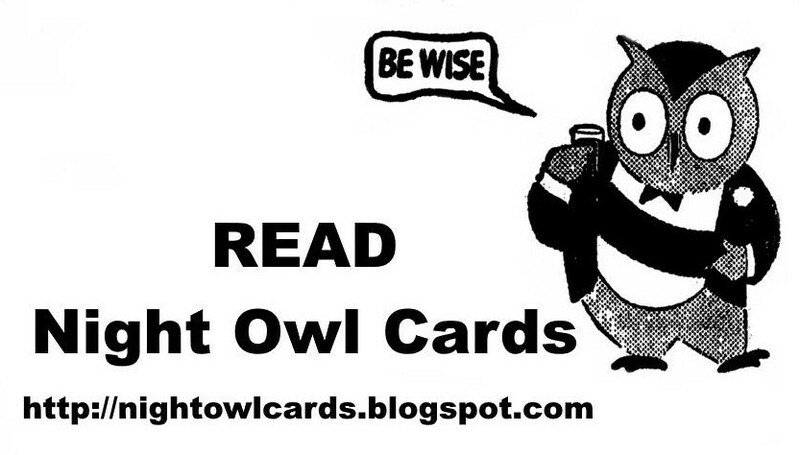 Reading Night Owl I find a Virdon that I now have to chase down. No, not the TMCA one you posted; a 1977 Astros cut team card. This sent me down a rabbit hole. 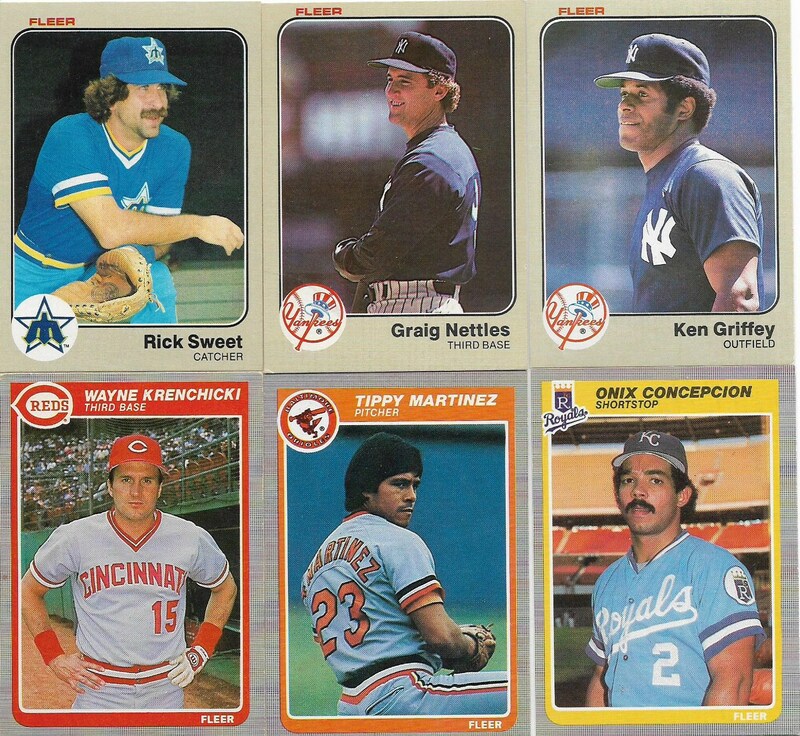 I found out though there was Team Set Mail in cards from 1975-1981. I already had the 1975 (because of a different NO post) and Virdon wasn't on the 78 Team card; so this has added 5 cards to my Virdon want list. i learned a new word! These cards are all over the place! My head is spinning! 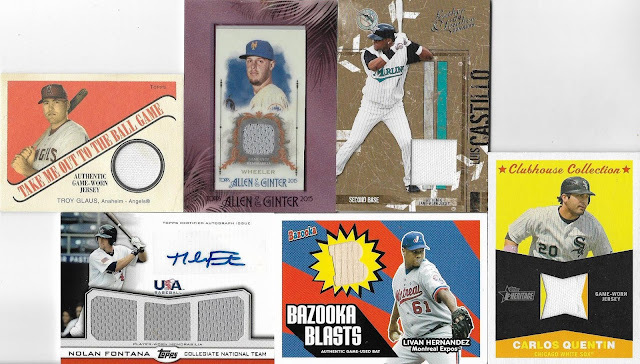 What a crazy, wonderful mess of cardboard! Somewhere in your youth or childhood, you must have done something good.